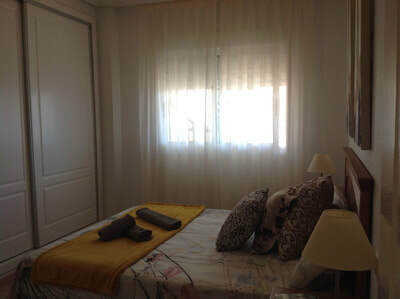 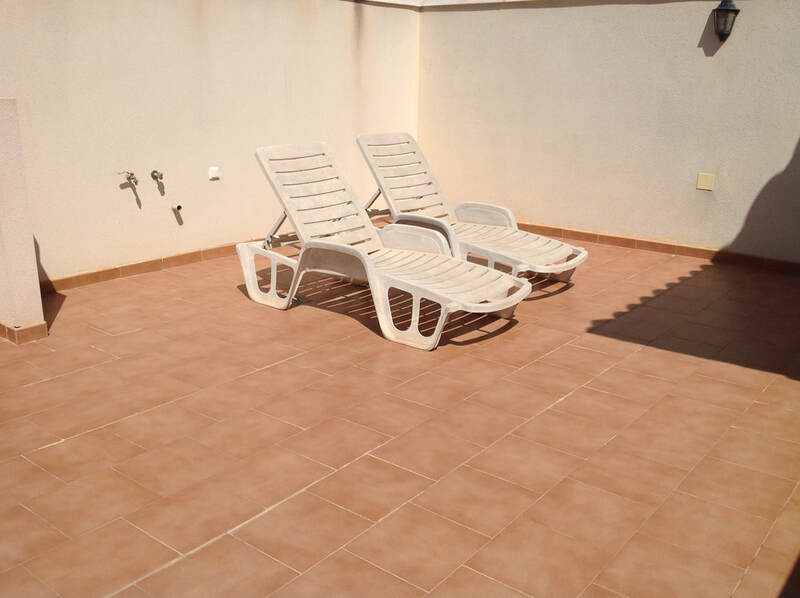 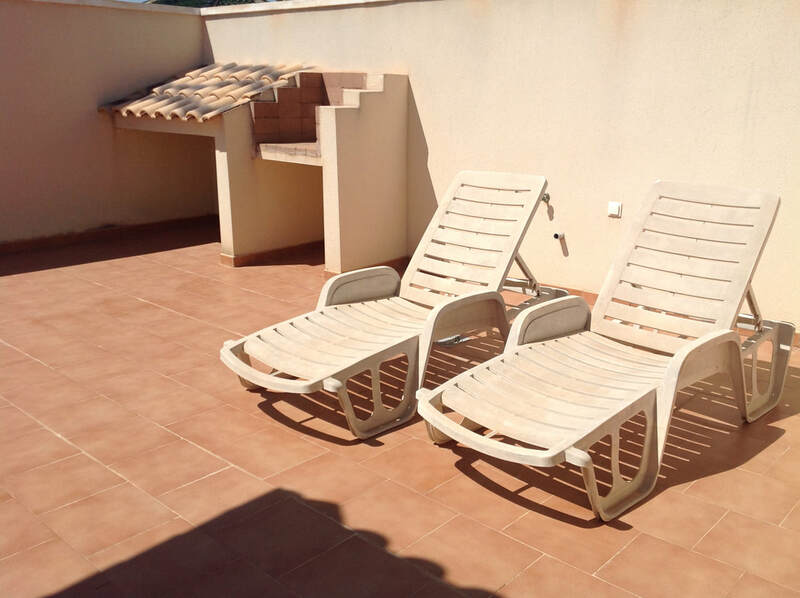 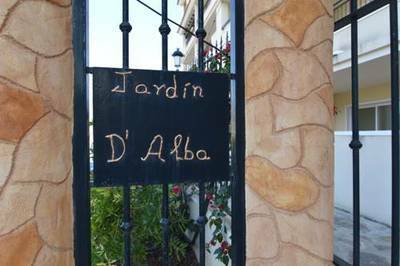 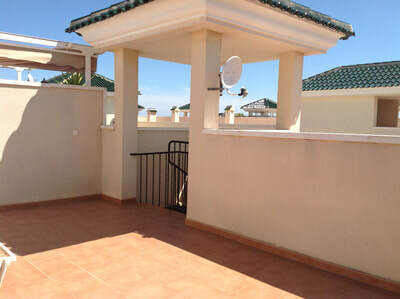 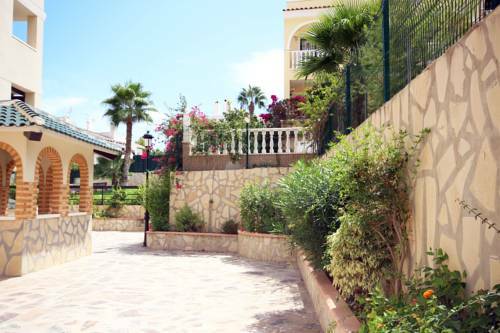 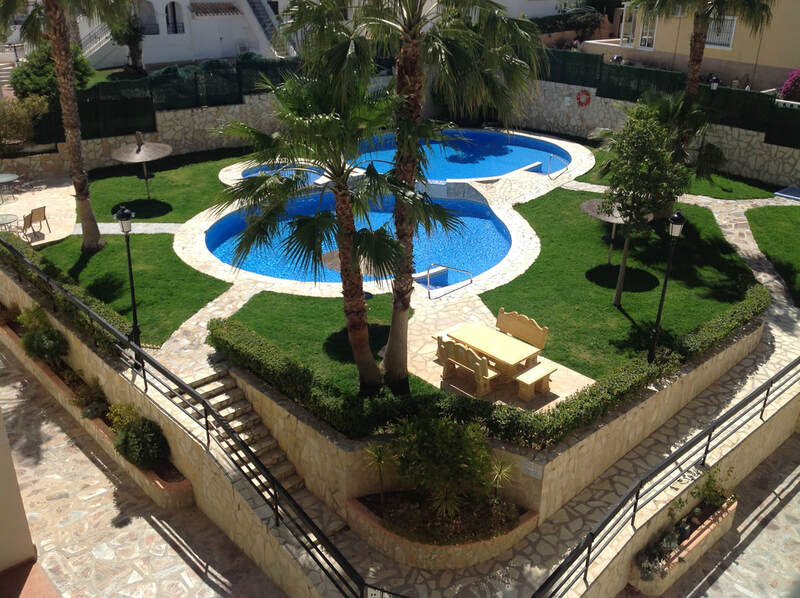 This is a stunning and spacious south facing 1 bedroom, 1 bathroom penthouse apartment on the sought after urbanisation of Jardin de Alba, Villamartin, Costa Blanca. 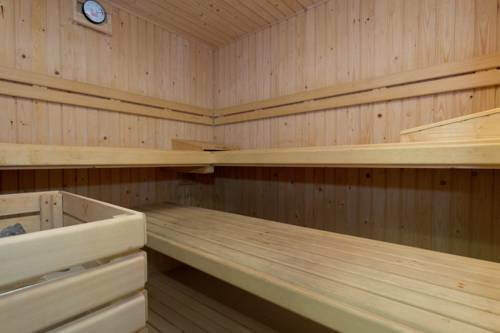 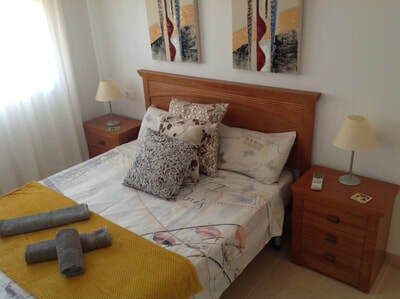 It is set in beautiful grounds and boasts and large well maintained pool area, gymnasium, sauna and games area. 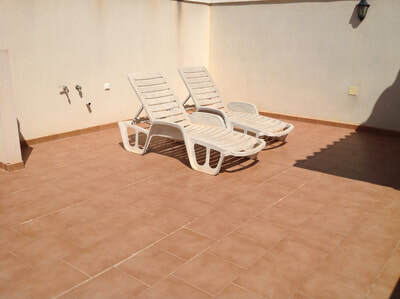 The apartment also comes with an allocated secure parking space in the underground garage which is accessed via the lift. 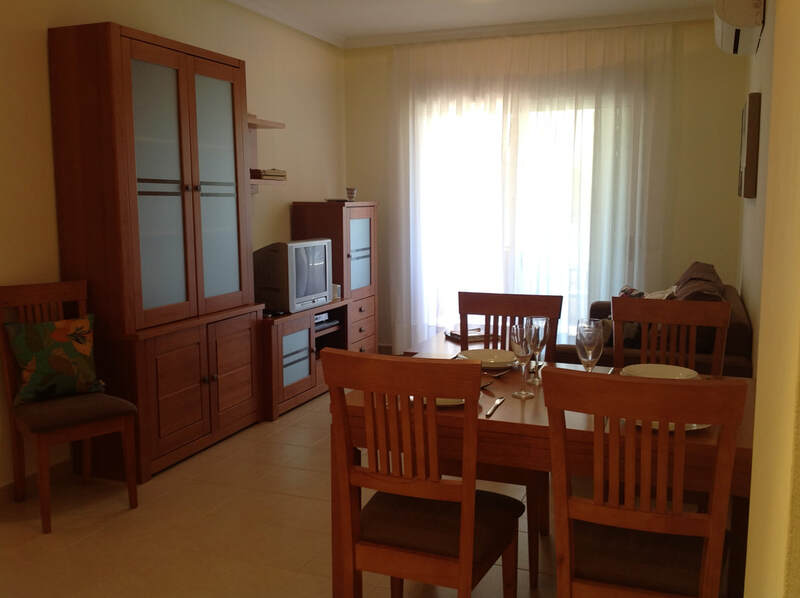 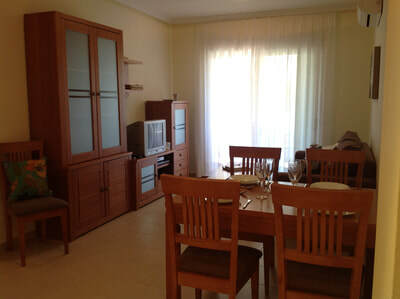 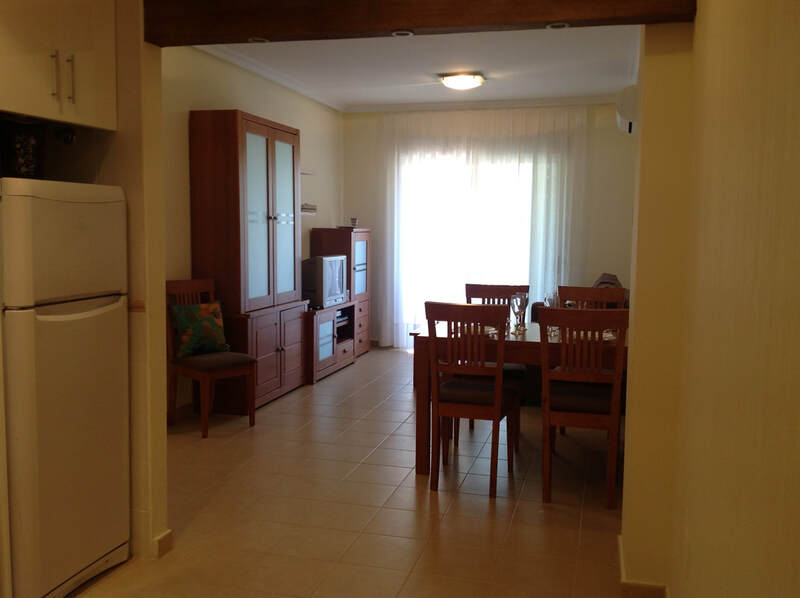 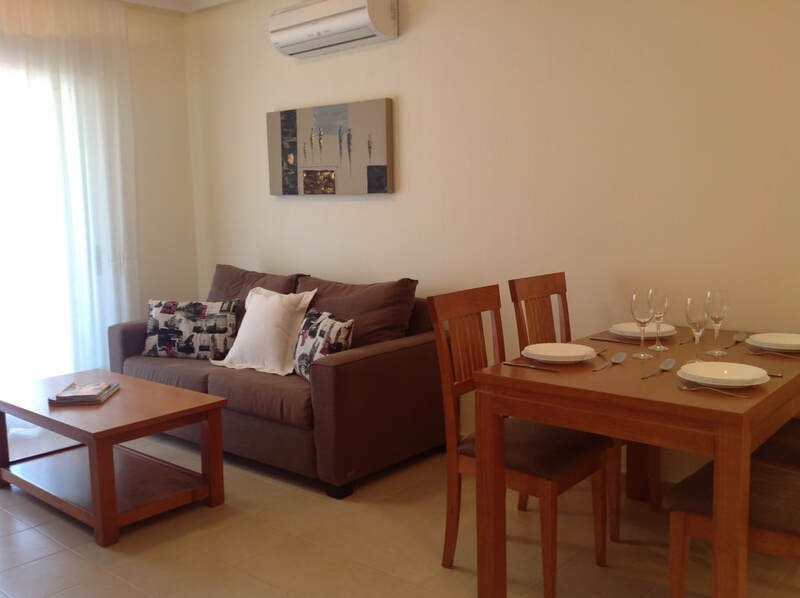 The apartment itself has a spacious feel and the front door leads into the lounge/dining area. The kitchen is separate and fully equipped with all white goods etc. 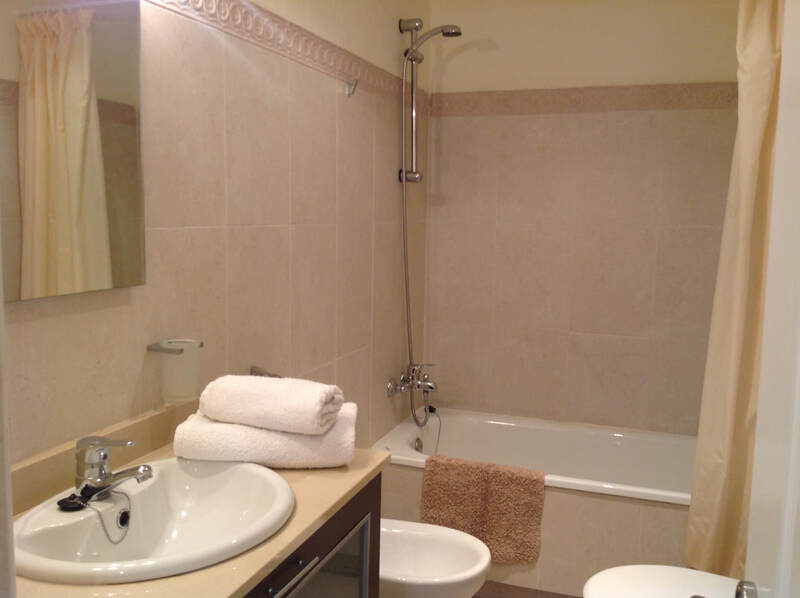 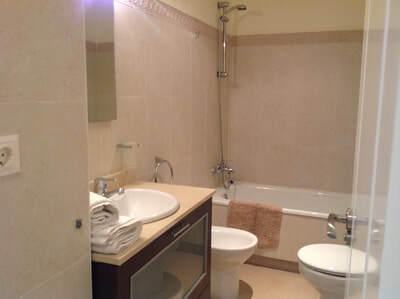 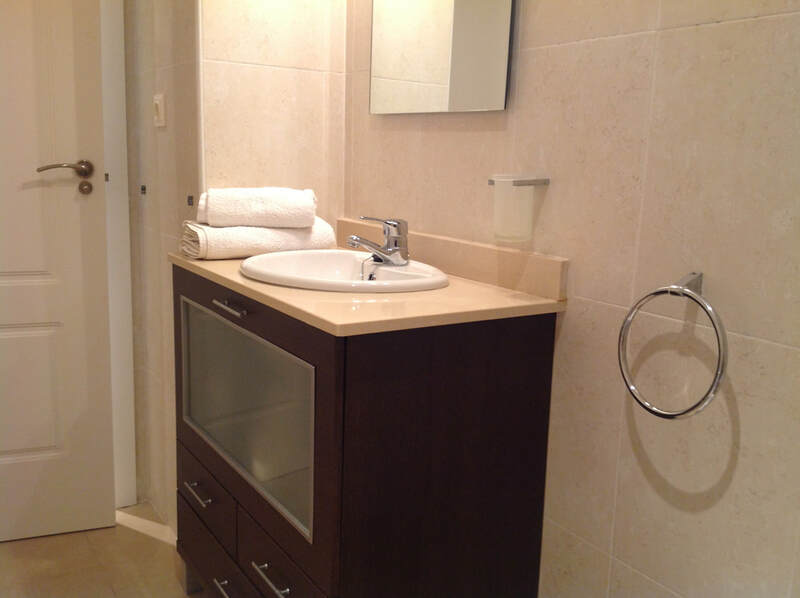 The bedroom and bathroom are both spacious and modern, the bedroom has built in wardrobes. 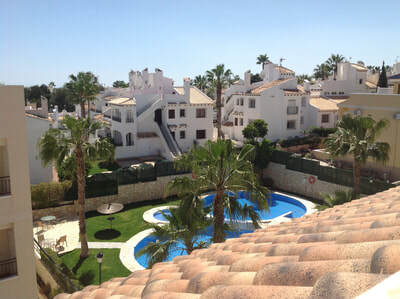 From the lounge you have sliding doors which lead out onto a balcony that overlooks the grounds and communal pool, from the balcony there is a spiral staircase that leads up onto the private roof solarium which again has views over the pool and the surrounding area. 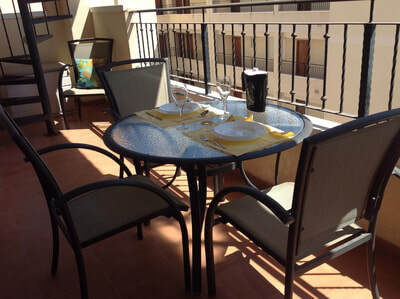 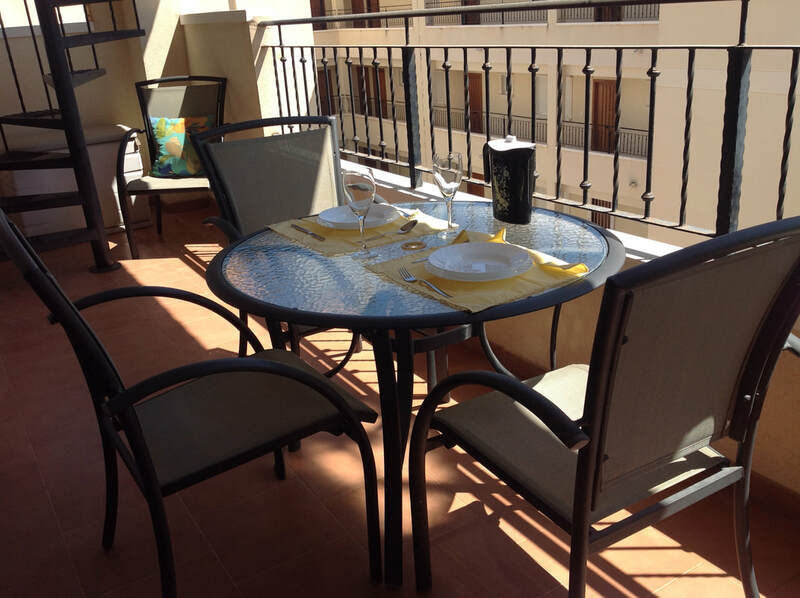 Local bars are just 2 minutes walk away & Mercadona supermarket is just 5 minutes walk away. 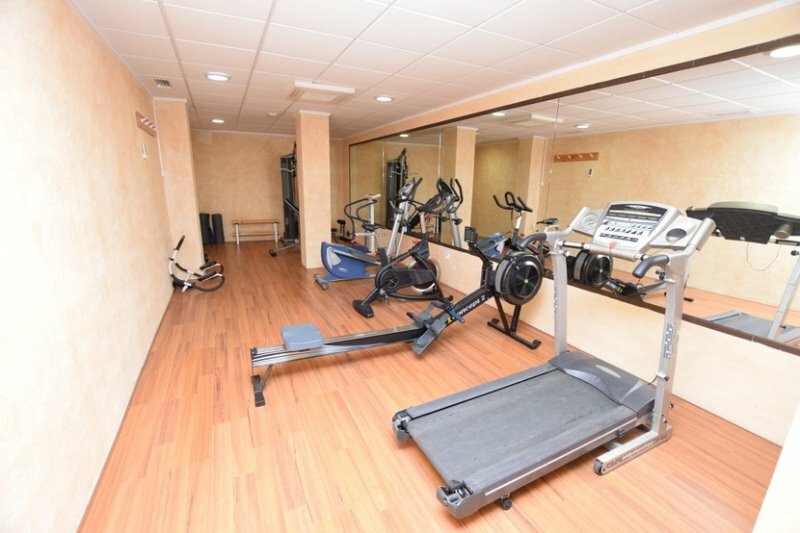 The La Fuente commercial centre which has numerous bars, shops, restaurants, supermarkets etc is just 10 minutes walk away. Buses & taxis stop right outside La Fuente. 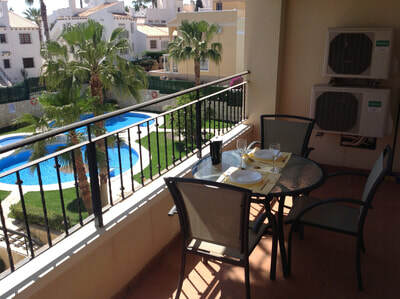 The Golden Orihuela Costa beaches are just a 5 minute drive or you can hop on the local bus. 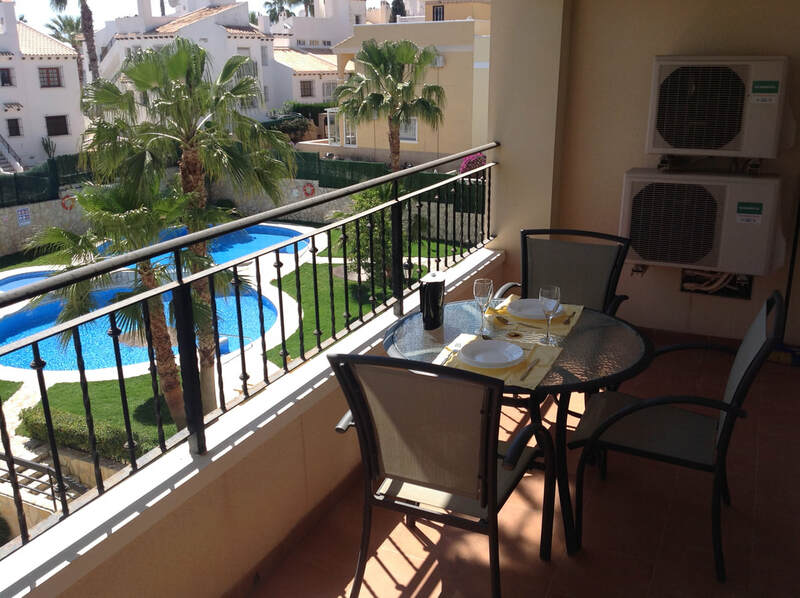 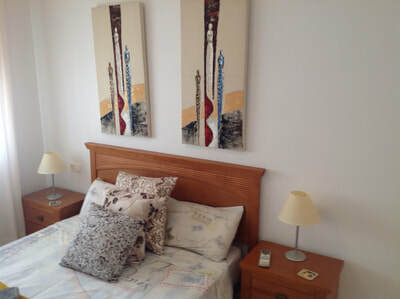 There are 4 golf courses all within a 5 minute drive of this property & Alicante airport is 50 minutes away & Murcia San Javier airport is just 20 minutes away.